OTTO NEUGEBAUER WAS THE most original and productive scholar of the history of the exact sciences, perhaps of the history of science, of our age. He began as a mathematician, turned first to Egyptian and Babylonian mathematics, and then took up the history of mathematical astronomy, to which he afterward devoted the greatest part of his attention. In a career of sixty-five years, he to a great extent created our understanding of mathematical astronomy from Babylon and Egypt, through Greco-Roman antiquity, to India, Islam, and Europe of the Middle Ages and Renaissance. Through his colleagues, students, and many readers, his influence on the study of the history of the exact sciences remains profound, even definitive. Neugebauer was born in Innsbruck, Austria, his father Rudolph Neugebauer a railroad construction engineer and a collector and scholar of Oriental carpets. His family soon moved to Graz where his parents died when he was quite young. He attended the Akademisches Gymnasium, and was far more interested in mathematics, mechanics, and technical drawing than in the required courses in Greek and Latin. Because his family was Protestant, he was exempted from mandatory instruction in religion, which also pleased him. In 1917 he learned that he could receive his graduation certificate without passing a Greek examination if he enlisted in the Austrian Army, which he promptly did. Before long, he found himself an artillery lieutenant, principally a forward observer, on the Italian front. He later remarked mordantly that these were among the happiest days of his life. Following his discharge, in the fall of 1919 he entered the University of Graz in electrical engineering and physics, and in 1921 transferred to the University of Munich, where he attended lectures by Arnold Sommerfeld and Arthur Rosenthal. He had lost his entire inheritance, safely invested in government bonds, through the Austrian hyperinflation, and he spent a miserable winter with little food and water frozen in his room each morning. During this year his interests changed to mathematics, and in the fall of 1922 following Sommerfeld's advice he moved on to the Mathematisches Institut at the University of Göttingen. He began his studies with the new director of the Institut, Richard Courant, who became a very close friend, also took courses with Edmund Landau and Emmy Noether, and in 1923 became an assistant at the Institut and special assistant to Courant in 1924. Significantly, he was also in charge of the Lesezimmer, the library. During 1924-25 he was at the University of Copenhagen with Harald Bohr, another close friend, with whom he published in 1926 a paper on differential equations with almost periodic functions, one of Bohr's specialties, which turned out to be his only paper in pure mathematics. For again, Neugebauer's interests had changed, this time to the history of Egyptian mathematics for which he studied Egyptian with Hermann Kees and Kurt Sethe. His thesis Die Grundlagen der ägyptischen Bruchrechnung (Springer, 1926), was principally an analysis of the table in the Rhind Papyrus for the expression of fractions of the form 2/n as a sum of different unit fractions, fractions with the numerator 1, and curiously stirred up a good deal of controversy. In 1927 he received his venia legendi for the history of mathematics, and in the fall term became Privatdozent and began lecturing on mathematics and on the history of ancient mathematics. At this time he married Grete Bruck, a fellow student and very fine mathematician, who later assisted him in much of his work. They had two children, Margo, born in 1929, and Gerry in 1932. In 1929 he founded, with O. Toeplitz and J. Stenzel as co-editors, Quellen und Studien zur Geschichte der Mathematik, Astronomie und Physik (QS), a Springer series devoted to the history of the mathematical sciences and divided into two parts, Abteilung A for the publication of sources and B for studies, in which he published extended papers on Egyptian computational techniques in arithmetic and geometry (QS B 1, 1930-31). The previous year he had gone to Leningrad to assist W. Struve in preparing for publication the Moscow Papyrus, the most important text for geometry, which appeared in QS A 1 (1930). Since 1927, however, he had been investigating a more important and interesting subject, namely, Babylonian mathematics, for which he had learned Akkadian and worked in Rome with Father P. A. Deimel, S. J., of the Pontificio Istituto Biblico. His first paper on Babylonian mathematics, in 1927, was an account of the origin of the sexagesimal system, and by 1929 he was gathering new material at Berlin and other collections for the publication of a substantially complete corpus of texts. During the next few years, he published a number of articles, mostly in QS B, and eventually published the corpus in Mathematische Keilschrift-Texte (MKT) (QS A 3, 3 vols., 1935-37). At the beginning of the preface he quoted Anatole France, one of his favorite authors: "L'embarras de l'historien s'accroît avec l'abondance des documents." This was not the last time this was to prove true. MKT is a colossal work, in size, in detail, in depth, and its contents show that the riches of Babylonian mathematics far surpass anything one could imagine from a knowledge of Egyptian and Greek mathematics. In l931 he became the founding editor of the review journal Zentralblatt für Mathematik und ihre Grenzgebiete (Zbl), his most important contribution to modern mathematics. The following year he was promoted to Extraordinarius, founded Ergebnisse der Mathematik und ihrer Grenzgebiete, a Springer series of short monographs on current mathematics, and in 1933, with W. Flügge, the Zentralblatt für Mechanik, which was separated from Zbl. Then politics intervened. On January 30, 1933, Hitler became chancellor, and the following April 7 the Law for the Restoration of the Civil Service authorized the removal of civil servants of non-Aryan descent or of uncertain loyalty. On Thursday, April 26, a local newspaper carried the notice that six professors, including Courant and Noether, were to be placed on leave. Courant designated Neugebauer acting director of the institut, but students were by then agitating to stop the lectures of Landau and Paul Bernays and attacking Neugebauer as politisch unzuverlässig "politically unreliable" (his political views were always very liberal). That weekend he was asked to sign an oath of loyalty to the new government, and when he refused was promptly suspended as untragbar and denied access to the Institut building. Why untragbar (intolerable)? Here is one possible reason: A Nazi official once requested that he explain why he was in Leningrad in 1928, since it might be thought he was secretly a Bolshevik. His answer was to point out that in 1930 he was at the Vatican, so perhaps they might suspect that he was secretly a Jesuit. After several months of uncertainty about what would happen next, Harald Bohr arranged a three-year appointment as professor at Copenhagen, which Neugebauer took up in January 1934. In Copenhagen he prepared for the summer term a series of lectures on Egyptian and Babylonian mathematics that became the first of his books directed to a general readership, Vorgriechische Mathematik (Springer, 1934), which was intended as the first volume of a set of three called Vorlesungen über Geschichte der antiken mathematischen Wissenschaften. The second was to be on Greek mathematics, specifically Archimedes and Apollonius, and on pre-Euclidean mathematics, showing its relation to Babylonian, and the third on mathematical astronomy, principally on Babylonian astronomy and on Ptolemy. So far he had written only a single paper touching on Babylonian astronomy, a review of The Venus Tablets of Ammizaduga (1928) by Langdon, Fotheringham, and Schoch, in which he demolished the chronology of the Old Babylonian Dynasty that had been established from heliacal risings and settings of Venus. In 1938 he did something similar to Egyptian chronology by showing the Bedeutungslosigkeit of the Sothic Cycle for dating the introduction of the Egyptian calendar. However, the three-volume Vorlesungen were never completed, as he later told the story, for the following reason: While working on the mathematical cuneiform texts for MKT, he also considered it efficient to write the account of the astronomical cuneiform texts, principally ephemerides in the form of arithmetic functions for computing lunar and planetary phenomena, for the third volume. These had originally been identified by J. N. Strassmaier and deciphered by J. Epping in the 1880s. Since many had been published and analyzed by F. X. Kugler in Die babylonische Mondrechnung (1900) and Sternkunde und Sterndienst in Babel (1907-24), it appeared reasonable to summarize Kugler's results and extend them to the few more recently published texts, about fifty in all. In order to restore damaged and missing sections of texts, he developed procedures using linear diophantine equations with the number of periods and the number of excess lines of each arithmetic function in the ephemerides as unknowns. The result of these checks was the joining and dating of many previously unrelated fragments, the insight that some functions ran continuously for hundreds of years, and in general a far deeper understanding of the mathematical structure of the texts. He realized that what was now required was nothing less than a new edition of all the texts with a methodologically consistent analysis, a project going far beyond his original intention. So he put aside Greek mathematics and went to work seriously on Babylonian astronomy, and at first the results came rapidly, beginning with a paper in 1936 on the method of dating and analyzing texts using diophantine equations. He then published a series of papers, in the first of which he set out a proposal for a complete edition of all classes of Babylonian astronomical texts: mathematical, observational, and astrological, that is, celestial omens, with the cooperation of additional collaborators. In 1936-37 he had lectured on lunar and eclipse theory, the first results of his new analyses and the basis of two papers in QS B 4 in which he showed the applications of his methods. But then came the events of the fall of 1938, and it was to be many years before he, and he alone, completed his part in this great enterprise. It was clear that Zbl could no longer be relied on, and in the United States action was immediately undertaken to replace it and bring in Neugebauer. Veblen had been in correspondence about the situation with R. G. D. Richardson, secretary of the American Mathematical Society and dean of the graduate school at Brown University, and Richardson moved fast. There were two principal forces working to bring Neugebauer to Brown. One was Richardson, among the first and strongest advocates of the new journal, who arranged for Brown to provide facilities; the other was R. C. Archibald, a historian of mathematics who had built a splendid mathematics collection in the Brown library. On December 20 Richardson and H. M. Wriston, president of Brown, each wrote to Neugebauer to offer him a professorship in the mathematics department, and Richardson also asked him to direct the American equivalent of Zbl. He came to Providence on February 16 for a stay of ten weeks. President Wriston announced his acceptance of the professorship on February 27, and arrangements were made for beginning work on Mathematical Reviews (MR) that summer. In May he returned to Copenhagen, stopping in Cambridge on the way to give the W. Rouse Ball Lectures at Trinity College. By mid-summer he was back in Providence with his family, and was soon joined by Olaf Schmidt, his and Bohr's student and his research assistant in Copenhagen, who continued as his assistant while an instructor in the mathematics department. The initial work was setting up MR for which 350 reviewers and 700 subscribers were enlisted before the first issue appeared in January 1940. It was decided to begin with articles published after the middle of 1939, and the first issue actually appeared on time in January 1940. Still more remarkable, at the end of the first fiscal year, of an anticipated budget of $20,000, there remained a surplus of more than $5,000, something that would now amaze the American Mathematical Society and MR. After overseeing MR for its first few years, he turned over much of the editorial responsibility to Willy Feller, who became the executive editor in 1944. Zentralblatt, no American mathematician required that I use the English language. I regret, however, that you do not know me personally well enough to know that I would prefer to use exactly the language that I want to use, even if I have to interrupt my relations with German mathematicians. During his first several years at Brown, Neugebauer published a number of general papers on ancient astronomy and mathematics, describing in outline the content of these sciences, his methods of interpretation, and what he considered the most interesting areas for future research. These papers, later reprinted in Astronomy and History (1983), were not only the introduction of his interests and methods in English, but were also the first extensive presentations of his work for a general readership of historians of science and humanists, showing the excitement of a new discovery of the sciences of antiquity. The culmination of these writings was The Exact Sciences in Antiquity (1951, 2nd ed. 1957), a survey of Egyptian and Babylonian mathematics and astronomy, and their relation to Hellenistic science and its descendants. But it is far more than a survey of these sciences, for Neugebauer here allowed himself the freedom to comment on subjects from antiquity to the Renaissance. The expert can learn something from it, and from its notes, every time it is read, and for the general reader it is, in my opinion, the finest book ever written on any aspect of ancient science. Neugebauer also turned Brown into the leading institution for the study of the history of the exact sciences. In his first year he taught Babylonian astronomy. A year later he gave a series of public lectures on ancient chronology, and he lectured frequently at other universities. Together with Archibald, he founded a new journal of the history of the mathematical sciences called Eudemus, to be published by Munksgaard with subvention by Brown. The first issue appeared in 1941, but then the war made its continuation impossible. In the spring of 1941 he gave a lecture at the Oriental Institute of the University of Chicago, and there met a young Assyriologist, Abraham Sachs, who had received his doctorate from Johns Hopkins in 1939 and was working on the Chicago Assyrian Dictionary, then as now the WPA of Assyriology. Neugebauer decided immediately that this was the person to continue the great project of publishing all the astronomical texts, and arranged with the Rockefeller Foundation for Sachs to come to Brown as a Rockefeller Foundation fellow. When the Department of the History of Mathematics was formed in 1947, Sachs joined the faculty, becoming associate professor in 1949 and professor in 1953. For more than forty years Sachs was Neugebauer's closest colleague and closest friend, with whom he discussed at length nearly everything he wrote. The next appointment was in Egyptology. Brown received a bequest to form a Department of Egyptology, for which Wriston told Neugebauer to find an Egyptologist. The choice itself was not difficult. Since 1945 he had been corresponding on Egyptian astronomy with Richard Parker, an assistant professor at the University of Chicago who then became the field director of the Oriental Institute's epigraphic survey at Luxor. It was not easy to get him, but Neugebauer and Wriston did, and in the fall of 1949 Parker became the Wilbour professor of Egyptology. In 1959 Gerald Toomer, who, to the dismay of his colleagues in classics at Oxford, had become interested in ancient mathematics, came as a special student for two years, and after returning for successive summers became an associate professor and the third member of the department in 1965. Finally, David Pingree, who began working with Neugebauer while a graduate student and then a junior fellow in Sanskrit and classics at Harvard, after eight years at Chicago, became the third "theft" from the Oriental Institute, joining the department in 1971, two years after Neugebauer's nominal retirement at seventy. With Neugebauer, Sachs, Parker, Toomer, and Pingree, there was hardly a subject in the history of the exact sciences from antiquity to the Renaissance, and hardly a classical language, that was not covered at Brown. The work of these scholars, of their students, their students' students, now extended to three generations, and of the many visitors to the department is a direct product of the school created by Neugebauer at Brown, and of course his influence extends through his writings to every serious scholar of the history of the mathematical sciences. With an expert Assyriologist as collaborator, one of Neugebauer's first projects was to return to Babylonian mathematics and examine whatever might be contained in American collections. This was mostly done by Sachs, who found substantial additions to the texts of MKT. Their edition and analysis of the new texts, published as Mathematical Cuneiform Texts (MCT) in 1945, is not merely a supplement to MKT, but an independent study that has been the standard account of Babylonian mathematics in English ever since. Still more extensive were the astronomical cuneiform texts, of which the original study was complete by 1945, although it continued to grow as more texts were discovered, and the entire work was rewritten more than once to incorporate them. Again Anatole France was right. Astronomical Cuneiform Texts (ACT) was finally published in three volumes in 1955 by the Institute for Advanced Study, and immediately marked a new age in the study of ancient astronomy. Neugebauer had assembled in all about three hundred texts, most dating from the last three centuries B.C. Through years of assiduous calculation, he had dated and completed damaged texts and joined fragments, and he set out all this material with full philological and technical analysis of the underlying theory, computational procedure, and astronomical application. Every reading and every page of the manuscript had been gone over repeatedly by Sachs, whose name Neugebauer always said really belonged on the publication. The first volume contains ephemerides of lunar theory and eclipses and the procedure texts for their computation, the second planetary ephemerides and procedure texts, and the third the translations of the restored ephemerides and photographs or hand copies of all the texts. In the preface he expressed his respect to the shades of the scribes of Enu¯ma-Anu-Enlil. "By their untiring efforts they built the foundations for the understanding of the laws of nature which our generation is applying so successfully to the destruction of civilization. Yet they also provided hours of peace for those who attempted to decode their lines of thought two thousand years later." Next was Egyptian astronomy. There are two sorts, from older, purely Egyptian sources, such as tomb ceilings and coffin lids, and from later, Hellenistic sources, monumental zodiacs and papyri, sometimes showing Greek or Babylonian influences. None of it is very sophisticated, and Neugebauer was always at pains to lay the ghost of profound Egyptian astronomical wisdom. During his last year in Copenhagen he published with A. Volten in QS B 4 (1938) the demotic Papyrus Carlsberg 9, of the second century A.D., on the 25-year lunar cycle, and in 1940 there appeared with H. O. Lange an edition of Papyrus Carlsberg 1, also of the second century, but preserving a far older hieratic text with demotic translation and commentary on celestial mythology and cosmology and the decans. Two years later he published the known Hellenistic planetary texts and demotic horoscopes, but the really extensive work was done together with Parker, especially after he came to Brown and they began working on an edition of all Egyptian sources. It was a task that took more than twenty years to complete, but at last during 1960-69 the three volumes (in four) of Egyptian Astronomical Texts (EAT) were published by Brown. Here it was at last, all the Egyptian wisdom: decans, constellations, and star clocks of the Middle and New Kingdoms, Hellenistic monumental zodiacs and papyri, including all those previously published. And what did it amount to? With particular perversity Neugebauer began the ten-page section on Egypt in his later History of Ancient Mathematical Astronomy with the provocative sentence, "Egypt has no place in a work on the history of mathematical astronomy." Nevertheless, EAT is a fascinating and beautiful work of scholarship, and through it the content of Egyptian astronomy is now known and for the most part understood. Hellenistic sources were far more heterogeneous. In addition to Greek treatises in standard editions and the manuscript materials in the Catalogus Codicum Astrologorum Graecorum (CCAG), there were an unknown number of astronomical and astrological papyri. Neugebauer began gathering whatever he could find--eventually many papyrologists sent him anything with numbers on it--and publishing occasional articles, something that continued for the rest of his life. By luck, the chief librarian at Brown, Henry Bartlett Van Hoesen, was a classicist and papyrologist--this was before university libraries were turned over to bureaucrats with degrees in something called "library science"--and together they began assembling an edition of all known Greek horoscopes, both from literary sources and papyri. Their publication, Greek Horoscopes (1959), remains the standard work on its subject, unlikely to be superseded, and is also an excellent introduction to the techniques of Greek astrology. But there was a yet larger project, in fact the largest of all. Ever since the promise of the third volume of the Vorlesungen, Neugebauer intended to publish a history of mathematical astronomy. The form and extent of the work changed over time. Originally it was to have been on antiquity alone, but later it was to continue through the Middle Ages and Renaissance as far as Kepler. Neugebauer was indefatigable in taking notes on sources with detailed analyses. Already in Copenhagen he began analyzing the Almagest, since it was intended for the Vorlesungen, and over the years his notes extended to most published ancient texts, later Greek texts in manuscript, Indian, Arabic, and medieval Latin sources, and indeed on to Copernicus, Tycho, and Kepler. When, after the publication of ACT, he began to write all of this up, Anatole France's dictum proved as true as ever, so in the end the project was again restricted to antiquity. A History of Ancient Mathematical Astronomy (HAMA) appeared in 1975 in three volumes as the first publication in Springer's Sources and Studies in the History of Mathematics and Physical Sciences, the relation of which to QS should be obvious. Like ACT, it had the immediate effect of establishing the history of ancient astronomy on a new foundation, and since the astronomy of the Middle Ages and Renaissance is in most respects a continuation of antiquity, it really placed the astronomy of more than two thousand years on a new foundation. Neugebauer arranged the work to cover the most important things first, namely, an exposition of the Almagest and what can be known of Ptolemy's more or less direct antecedents, Apollonius and Hipparchus, and a systematic exposition of Babylonian astronomy going beyond ACT both in the breadth of its subject and depth of analysis, a section he was revising until the last minute before publication. After the notorious ten-page "Book III" on Egypt, comes early Greek astronomy through the first century B.C., concentrating upon whatever can seriously be reconstructed of mathematical astronomy, including Babylonian influences, from the surviving texts, unfortunately all elementary, supplemented by papyri, inscriptions, and later sources. The fifth part, on Roman and late antiquity, is devoted mainly to planetary and lunar theory in papyri, astrological sources, and, with more secure texts, to Ptolemy's works apart from the Almagest and to later sources, principally Theon's edition of Ptolemy's Handy Tables. Finally, the sixth part is an appendix on the chronology, astronomy, and mathematics, including diophantine equations, useful to the study of ancient mathematical astronomy, in which he set out materials and methods assembled over many years both from diverse sources and of his own invention. For all its 1200 pages of text and nearly 250 pages of figures HAMA is an economical work; its subject is the technical content of ancient mathematical astronomy, and cultural matters are kept to a minimum. I have mentioned that at one time HAMA was to have covered a longer period. What happened to the rest? Over the years, Neugebauer published parts of it separately, sometimes in collaborative projects, and its parts are substantial. In fact, he was late to come to the Middle Ages, his first important publications being on the astronomy of Maimonides (1949) and a commentary on Maimonides's Sanctification of the New Moon translated by Solomon Gandz (1956), in earlier years a contributor to QS. It is best to consider the paralipomena to HAMA by subject: Byzantine sources based on Arabic in the astronomical terminology of Vat. gr. 1058 (1960)--later identified by Pingree as translations by Gregory Chioniades--and the commentary on the treatise in Paris gr. 2425 (1969), the treatise itself later published by Alexander Jones (1987); Arabic in the translations and analyses of two works on the motion of the eighth sphere and the length of the year attributed (at least one falsely, it now appears) to Tha¯bit ibn Qurra (1962), and a large commentary on al-Khwrizm's tables (1962), examining in particular their use of Indian methods; Indian astronomy itself in his commentary to Pingree's edition and translation of the Pañcasiddhntik of Varhamahra (1970); Renaissance astronomy with N. M. Swerdlow in the analysis of Copernicus's De revolutionibus (1984). The last subject Neugebauer took up was Ethiopic astronomy, chronology, and computus, that is, the ecclesiastical calendar. He had long been intrigued by the primitive astronomical section of the Book of Enoch, originally written in Aramaic and surviving complete only in Ethiopic (Ge'ez), which appeared to contain simplified Babylonian elements, and he also noticed from the catalogue of Ethiopic manuscripts in Vienna, passages that suggested a relation with Hellenistic astronomy and calendars. The question was, what was this material about, and was there more of it? After learning Ge'ez--the only Semitic language that is not perverse, he called it (since it includes the vowels)--and studying many manuscripts, he found that the astronomical content was slight, but the calendrical and chronological information preserved from late antiquity and the Middle Ages was very interesting indeed. Chronology had in fact always been his third subject besides astronomy and mathematics; earlier he had collaborated with W. Kendrick Pritchett on The Calendars of Athens (1947) and analyzed the calendar of the Très riches heures for Millard Meiss (1974). Now he again took up chronology seriously. Ethiopic Astronomy and Computus (1979) is the summary of what he found, organized by subject in alphabetical order. There is much of interest here, but to name only the most significant result, he was able to reconstruct the Alexandrian Christian calendar and its origin from the Alexandrian Jewish calendar as of about the fourth century, at least two hundred years prior to any other source for either calendar. Thus, the Jewish calendar was derived by combining the 19-year cycle using the Alexandrian year with the seven-day week, and was then slightly modified by the Christians to prevent Easter from ever coinciding with Passover, which would be a very great sin. Neugebauer was amused to point out that the ecclesiastical calendar, considered by church historians to be highly scientific and deeply complex, was actually primitively simple. He then published separately the astronomical chapters of the Book of Enoch (1981) in his own translation and commentary, both rather different from the literature on Enoch by Biblical scholars. Considerably more complex than either of these was Abu Shaker's "Chronography" (1988), an analytical summary of a chronological and calendrical treatise originally written in Arabic by a thirteenth-century Coptic Jacobite. The treatise probably contains more technical information on ecclesiastical calendars than any other source, including the curious fact that the sequence of 29- and 30-day months is identical in the Jewish and Islamic calendars, showing that the Islamic calendar was in fact derived from the Jewish by suppressing intercalation, in accordance with Muhammad's prohibition. Thus far, I know of no reaction to this discovery. Finally, in Chronography in Ethiopic Sources (1989), he assembled a great deal of chronographical information, that is, intervals between epochs and dates of events, mostly in tabular form. 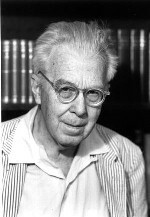 A few years after he came to this country, Neugebauer began to spend part of his time at the Institute for Advanced Study in Princeton, and from 1950 for the remainder of his life was a long-term member, a continuous association of forty years. Robert Oppenheimer, then director, had told him he would be welcome permanently any time he wished, but he preferred to remain at Brown and visit the Institute periodically. He always found the faculty and visitors at the Institute stimulating; following his retirement from Brown in 1969 and the death of his wife in 1970, he regularly spent several weeks there each fall and spring, and in the fall of 1984 he left Providence and moved permanently to the Institute. Through these years, his late eighties, Neugebauer's research continued to flourish at the Institute. He completed and published his books on Ethiopic chronology, wrote articles, and returned to an analysis of Kepler's Astronomia nova. Then in the summer of 1988 he received a photograph of a scrap of papyrus with numbers on it--hardly the first time--and immediately went to work deciphering its content. What he found was truly wonderful: a part of a column concerned with the length of the month from a Babylonian lunar ephemeris, known principally from tablets of the second century B.C., but here found in a Greek papyrus of the second or third century A.D. Since a single column is of no use by itself, the papyrus must once have contained several columns, if not a complete ephemeris for computing either the first visibility of the moon or the possibility of eclipses each month. This was the most important single piece of evidence yet discovered for the extensive transmission of Babylonian astronomy to the Greeks, and just as remarkable, for the continuing use of sophisticated Babylonian methods for four hundred years, even after Ptolemy wrote the Almagest, which, without the papyrus, would have seemed unbelievable. As he so often remarked, we know very little. The account of the papyrus was published in a memorial volume for Abe Sachs (1988). If there is a single, central concern that runs through Neugebauer's work, it is an interest in mathematical science itself, apart from any particular application in any particular civilization, as an expression of sheer ingenuity in abstract thinking, an ingenuity apparent among mathematicians and astronomers whether their language was Akkadian, Greek, Sanskrit, Arabic, or Latin, and whatever forms the mathematical sciences took in their day. From this concern was born the detailed and technical cross-cultural approach, in no way described adequately as the study of "transmission," that he applied to the history of the exact sciences from the ancient Near East to the European Renaissance. This can be seen, is perhaps summarized, in his last paper, "From Assyriology to Renaissance Art," published in the Proceedings of the American Philosophical Society in 1989, which is on the history of a single astronomical parameter, the mean length of the synodic month, from cuneiform tablets, to the papyrus fragment just mentioned, to the Jewish calendar, to an early fifteenth-century book of hours. And for this concern with mathematical science itself, we must be grateful, for only a true mathematician, which Neugebauer always remained, would recognize and expend the effort necessary to reveal the extraordinary ingenuity, creativity, and also continuity of Babylonian scribes, of Hipparchus and Ptolemy, of Varhamahra and al-Khwrizm, of their descendants as far as the Renaissance, and really up to the present day. Neugebauer was the recipient of many honors. He received his first honorary degree, the one he valued most, in 1938 from St. Andrews, where he had a splendid time and played the only round of golf of his life on the Old Course. Given the choice of degrees, he chose a doctor of (both) laws since he had studied neither. Doctors of science followed from Princeton in 1957 and Brown in 1971. He was a member of the Royal Danish Academy, Royal Belgian Academy, Austrian Academy, British Academy, Irish Academy, American Philosophical Society, American Academy of Arts and Sciences (resigned 1959), National Academy of Sciences (elected 1977), Académie des Inscriptions et Belles-lettres, and other learned and professional societies. He received the American Council of Learned Societies' Award for Outstanding American University Professors in 1961, the Award for Distinguished Service to Mathematics of the Mathematical Association of America for his founding and editing of Zbl and MR in 1979, the American Philosophical Society's highest award, the Franklin Medal, in 1987, and in the same year Brown University's highest award, the Susan Culver Rosenberger Medal of Honor. For various publications he received the John F. Lewis Prize of the American Philosophical Society in 1952 for "The Babylonian Method for the Computations of the Last Visibilities of Mercury," the Heineman Prize in 1953 for The Exact Sciences, the Pfizer Prize of the History of Science Society in 1975 for HAMA, and a second Pfizer Prize in 1985. In 1986 he received the Balzan Prize of 250,000 Swiss francs, which he donated to the Institute for Advanced Study. A bibliography of Neugebauer's nearly 300 publications through his eightieth year by J. Sachs and G. J. Toomer, with his assistance, was published in Centaurus (22:257-80). The number of additions since then is not small. A more extended memoir of his life and work, upon which this memoir is based, may be found in the Proceedings of the American Philosophical Society (137:139-65), and a shorter version similar to this one in the Journal for the History of Astronomy (24:289-99). I am very grateful to Asger Aaboe, Edward Kennedy, Edith Kirsch, David Pingree, Janet Sachs, and Gerald Toomer for information and many helpful comments.